The Advancing Teaching–Improving Learning (ATIL) team’s efforts were grounded in the urgent and practical issues of improvement that confront America’s educational leaders. ATIL was funded by the Institute for Education Sciences. As a part of this work, Carnegie enlisted a panel of distinguished scholars to address key questions and challenges that the developers of teacher evaluation systems face in designing and implementing systems that use value-added measures of teacher performance. 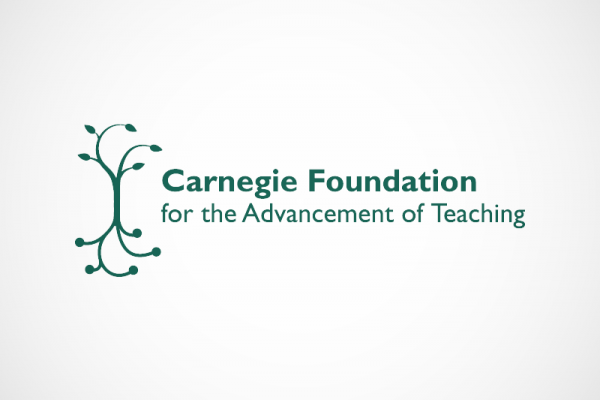 The online Carnegie Knowledge Network provided education policymakers and practitioners with timely, authoritative research and recommendations on the use of value-added methodologies in teacher evaluation systems. In addition, the ATIL team was engaged in rapid turnaround studies of key education issues (known as 90-Day Cycles) to generate new learning and promote innovation through a rapid and disciplined inquiry process. 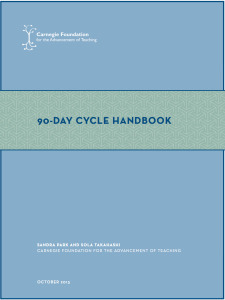 The 90-Day Cycle Handbook is a comprehensive guide to the purpose and methods of this disciplined and structured form of inquiry. This handbook delineates the purpose and process for this method. Acknowledging the importance of feedback, this report aims to help districts rethink feedback not simply as a series of isolated conversations between principals and teachers, but rather as a complex system of many interconnected factors. This white paper refines and provides evidentiary support for a human capital system framework composed of four subsystems that ideally work together to build a stronger teacher workforce. The costs—in dollars and human resources—of implementing evaluation systems in K-12 school districts are difficult to predict and not insignificant. Use this calculator to help estimate time and financial resources involved in evaluation.